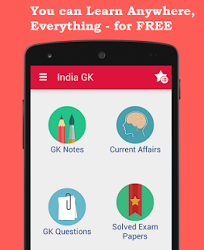 5, 6 June 2017 Current Affairs MCQs, Quiz, Questions: Current Affairs for June 2017, Daily Multiple Choice Questions (MCQs) for India GK, World GK and current affairs with Collection of daily objective type Question by www.Indiagk.net based on General Knowledge (GK) and General Science (GS) Questions for UPSC, State PSC, SSC, Police exam, Railway exam, SBI, Bank PO, IBPC, SSC, LDC, UDC, Army, Airforce, Navy, Coast Guard, Bank Clerk, TET and all entrance examination with current affairs News, Multiple Choice Questions (MCQs) available on Website www.IndiaGK.net and Android Apps with daily updates:. Who Wins 2017 men’s singles title at Thailand Grand Prix Gold badminton tournament? What is the theme of 2017 World Environment Day? ISRO on 5th June successfully launches which communication satellite? Who wins 52nd Capablanca Memorial Chess tournament 2017? The first-ever United Nations Oceans Conference has started in which country? Recently 6 Arab Nations Cut ties with which country?